A gallery in Sydney’s eastern suburbs has borrowed 30 of the artist’s works from private collections to mark the centenary of his birth next month.”Each work is a masterpiece by Sidney Nolan. Each work is worthy of display in a public institution and that is the rationale to bring forward the greatest works that remain in private ownership,” said curator Geoffrey Smith, chair of Sotheby’s Australia. Nolan, who died in 1992, was best known for his striking images of outlaw Ned Kelly and the Australian landscape. 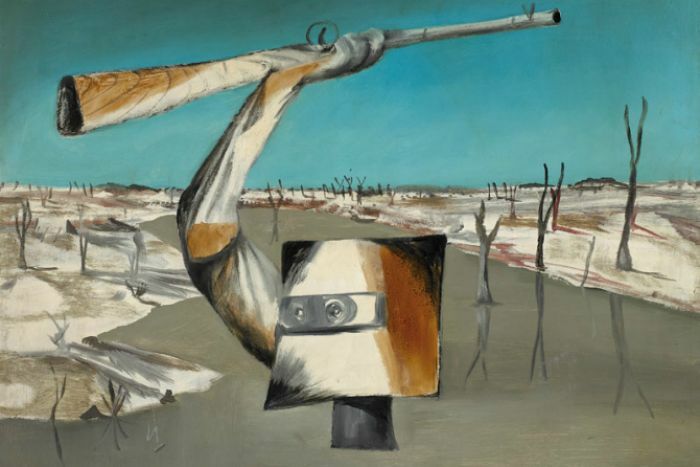 His painting First-Class Marksman from 1946 achieved the highest price for an Australian work ever in 2010 — $5.4 million.